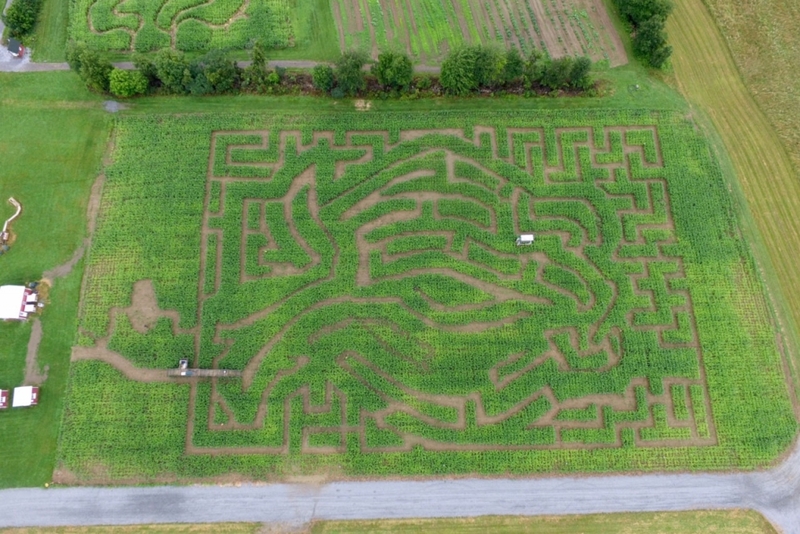 New York's Best Corn Maze: The Amazing Maize Maze is a Great Fun Fall Activity in Saratoga Springs, Albany & Upstate NY! 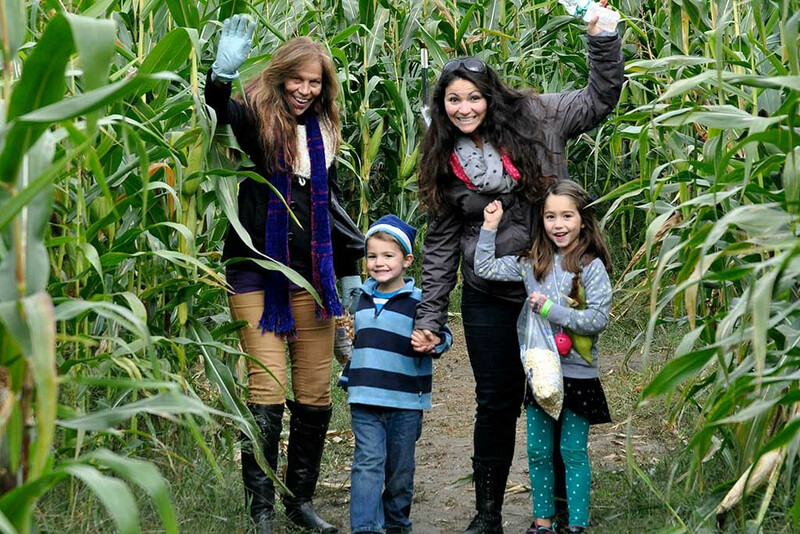 Fun things to do in the Saratoga Springs, Albany and Upstate NY region this fall includes the Amazing Maize Corn Maze at Ellms Family Farm! 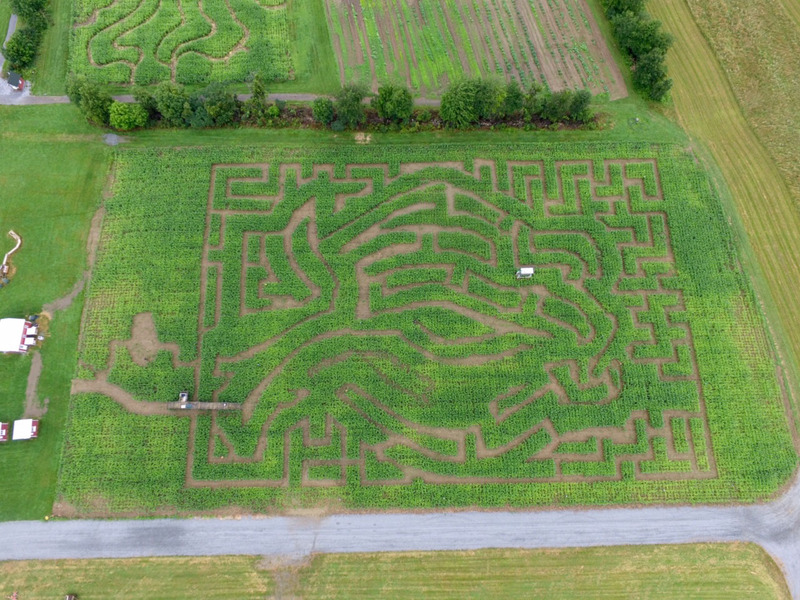 Take advantage of this unique outdoor family fun activity as you journey through the field of this incredible crop while you solve the interactive corn maze puzzle. This “agri-tainment” experience provides exercise and family fun in a wonderful outdoor environment. Average time to complete is 90 minutes. Don’t forget to reward yourself with the best apple cider donuts in Upstate NY! 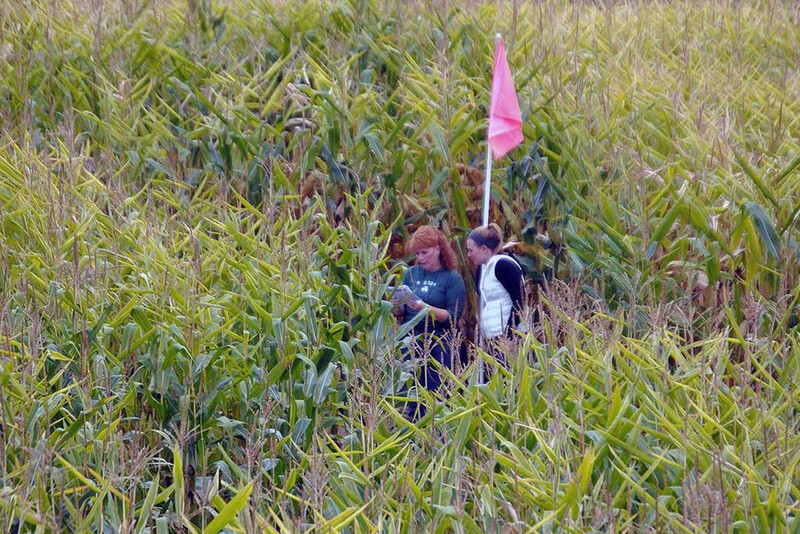 For more information about the Amazing Maize Corn Maze in Upstate NY, call us at (518) 884-8168. We will be happy to help you plan for fun and educational school trips, company or private group outings… even unique team building events at our Saratoga County farm! KIDDIE CORN MAZE – Made Just for Kids! 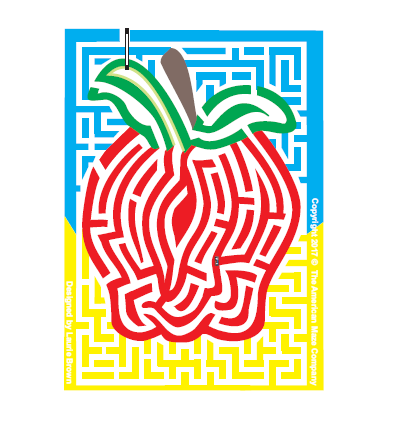 We now offer smaller mazes perfect for young families with children up to 5 or 6 years old! These are actually both labyrinths (no getting lost in this type of maze!!) and they take about 15-20 minutes each. As the children go through the original Kiddie Maze, they meet some friendly scarecrows directing them to do some fun tasks. We also have an interactive Finger Fortune Maze which is great fun for all ages. Come see what this is all about! Our pumpkin patch with many choices for all is another great activity for all ages! 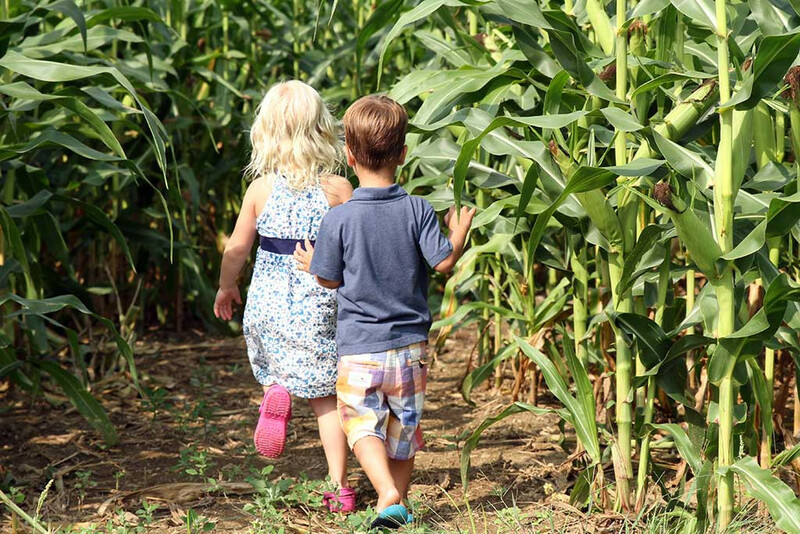 When it comes to family fun in the Albany Capital District, Saratoga Springs in New York, our corn mazes are a safe, fun, and make a healthy outdoor activity. Come join in the fun and make Ellms Family Farm part of your family traditions!